I love getting my monies worth on an item! All 3 of my boys got to wear this adorable cowboy outfit! Their ages in pictures are 8 months, 6 months, and 7 months. Not required but would be nice: Leave me some comment Love! 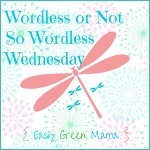 ♥ Be courteous and link back to your host Visit 1 or 2 other WW post Follow your host, rays of bliss,on Bloglovin, Facebook, Pinterest, Twitter, Instagram or Google+. Awe, that is simply adorable!! What an adorable little cowboy!! What handsome little cowboys! It is great when you can make something last through all your kids! Can’t always find that level of quality these days! nothing wrong with reusing. Plus you can make them guess who is who later on! They are all so cute! Thanks for hosting! What an adorable little cowpoke! That is a cute outfit! My boys still love dressing up, and they are 5 and 8! How special they could all be photographed in the same outfit. Too adorable! What cuties! That is great you were able to use the same costume for all three boys. I grabbed your button and added it to my blogroll/linky list. Thanks for the link up!